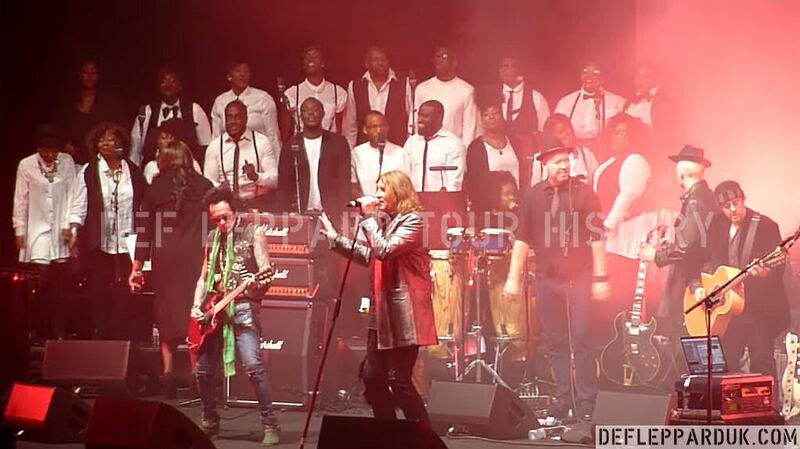 Def Leppard singer Joe Elliott performed two songs at the Celebrating David Bowie concert in London, England last night. 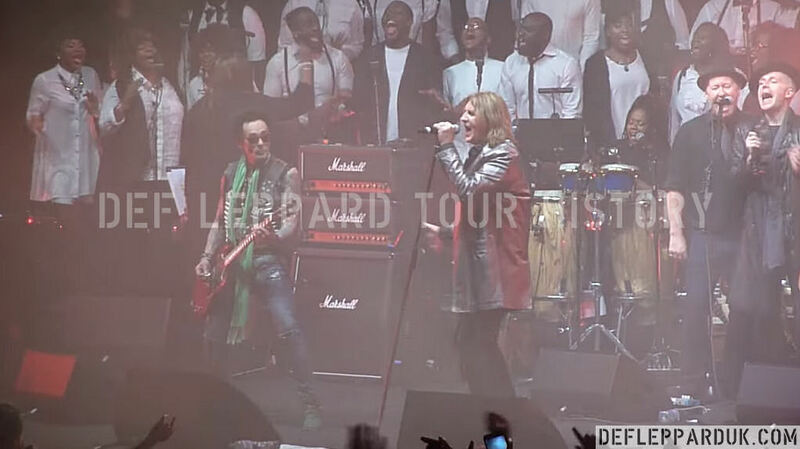 The show took place at the O2 Academy Brixton in London, England. 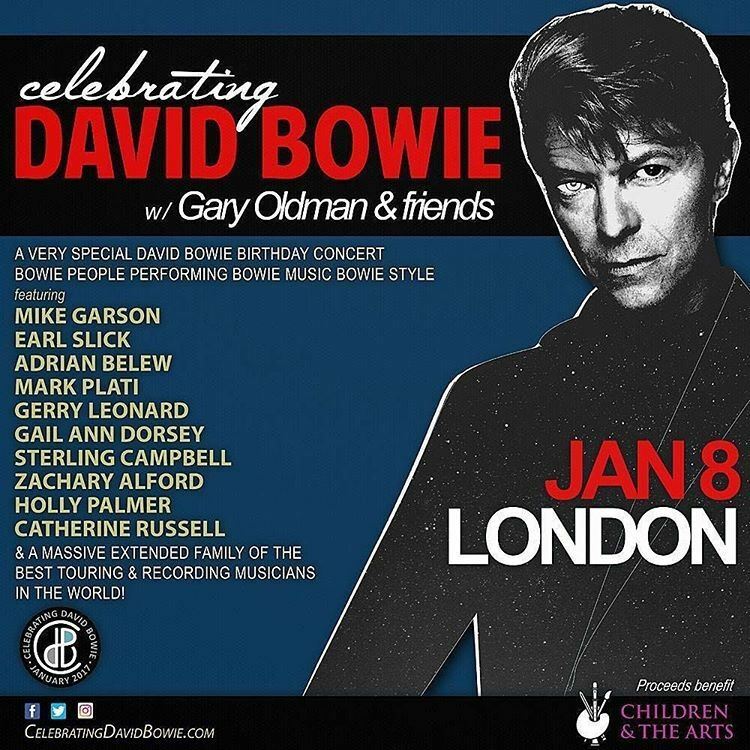 Titled 'Celebrating David Bowie (w/ Gary Oldman & Friends)'. 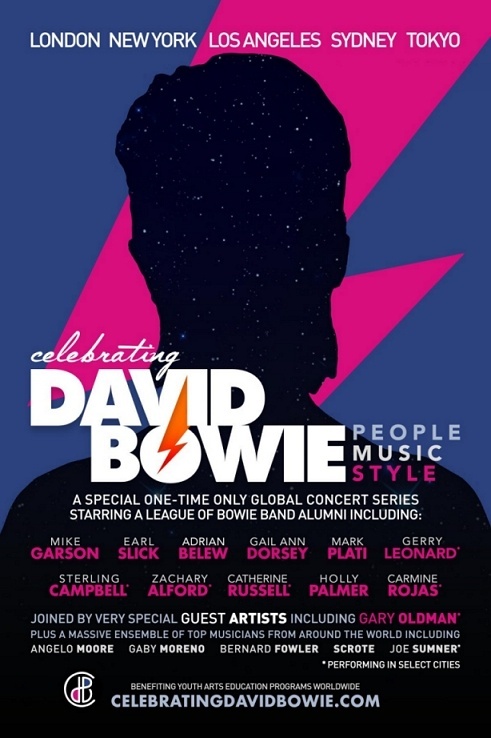 The first in a series of concerts by David Bowie's most recent backing musicians performing with special guest singers. Other shows will take place in New York, Los Angeles, Tokyo and Sydney. 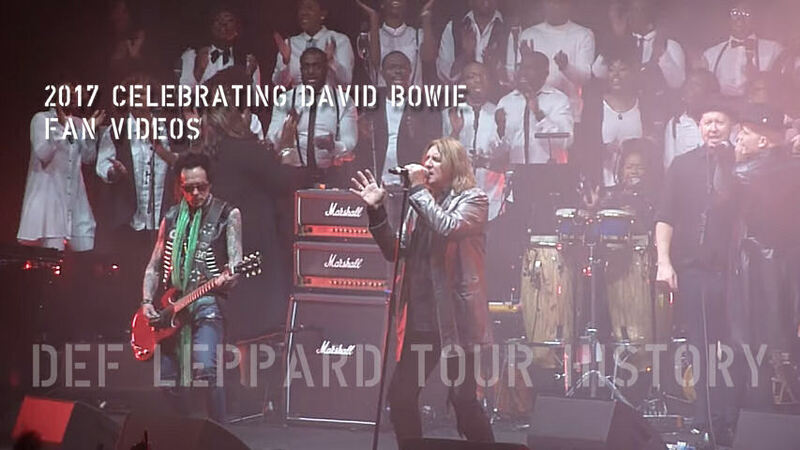 Joe had previously played this venue with Def Leppard on the X/Ten tour in February 2003. 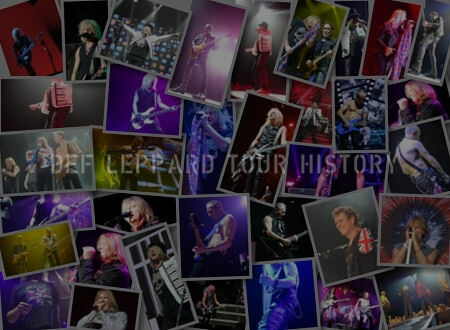 Phil Collen saw his first ever concert here in 1972 when he attended a Deep Purple show. 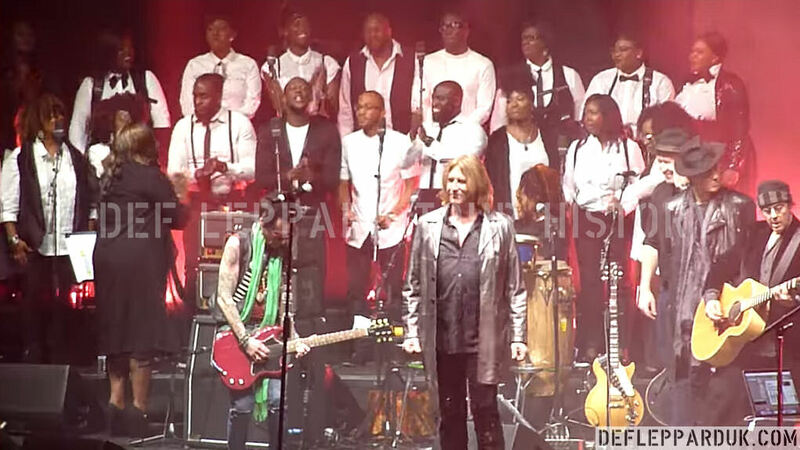 Many of the guest vocalists for the show had not been announced beforehand. Joe had mentioned on his weekly radio show the night before that he would at least be attending the show. 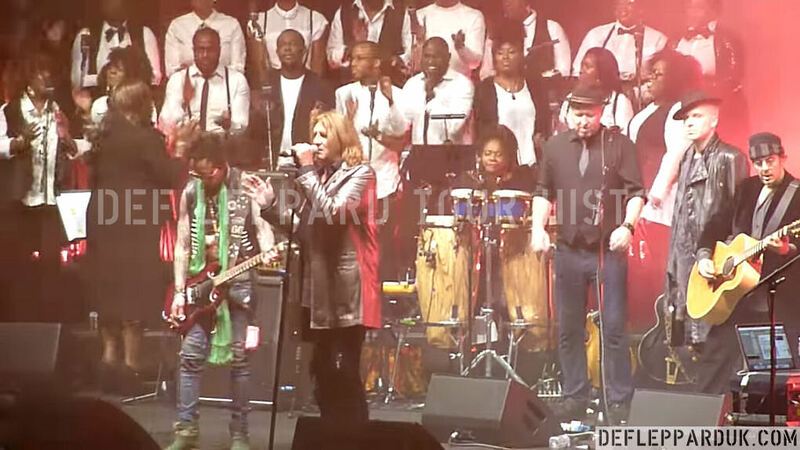 He had paid tribute to David Bowie last year after hearing of his death which happened on 10th January 2016 in New York. 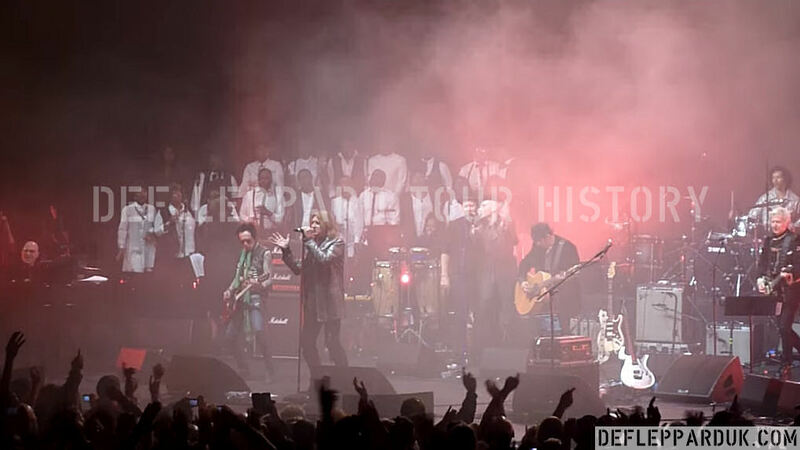 Joe appeared as the guest lead vocalist on his favourite song 'All The Young Dudes', a song written by David Bowie for his favourite ever band Mott The Hoople. His second appearance came later as he sang 'Suffragette City', the song Ian Hunter rejected when he asked to use 'All The Young Dudes' instead. 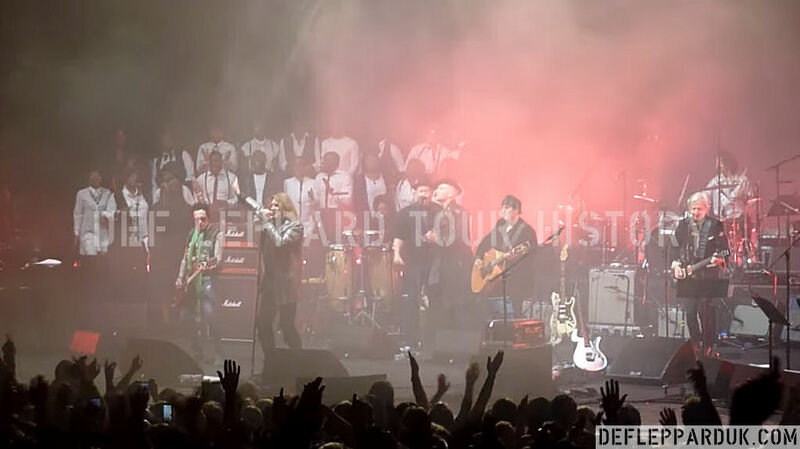 Joe performed this song with Sav at the Sincerely Sheffield charity concert at Sheffield City Hall in March 2004. 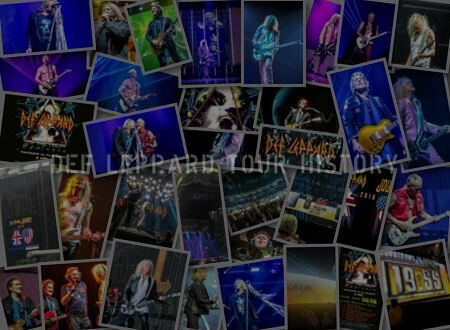 He told the crowd at the start of the song that it was the first song Def Leppard ever played together at rehearsals. 'All The Young Dudes' was recorded by Joe with the Cybernauts. Both a live version from 1997 and a studio version recorded in Tokyo in 2001. 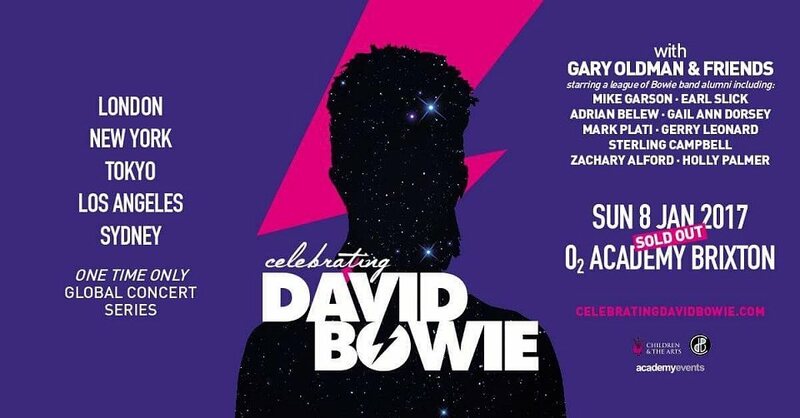 The main band for this three hour long celebration of David Bowie's music included members of his last touring band and those that played on his last two albums 'The Next Day' and 'Blackstar'. 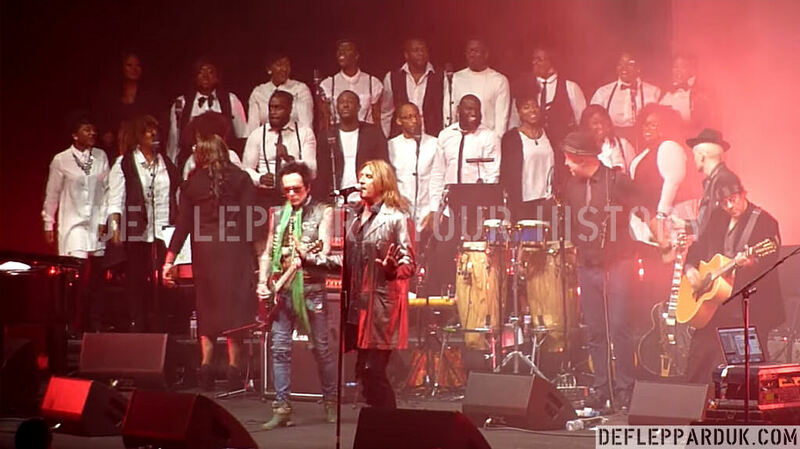 Lisa Ronson (Mick Ronson's daughter) was one of the backup singers and the London Community Gospel Choir sang on many of the songs including 'All The Young Dudes'. 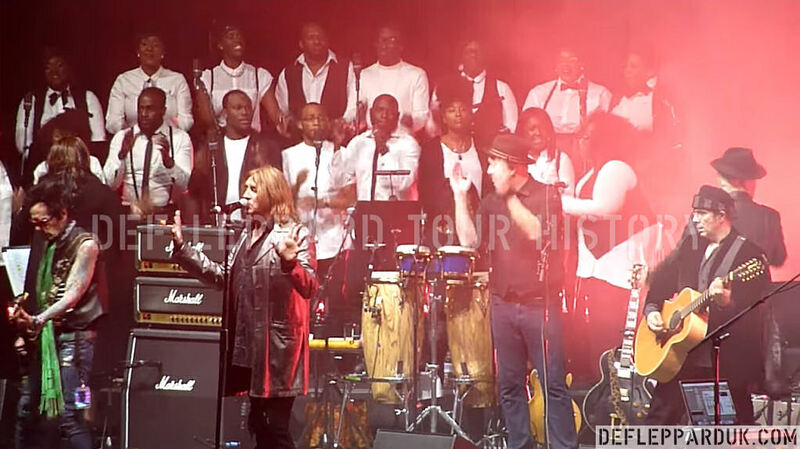 The first time Joe has performed with a choir. 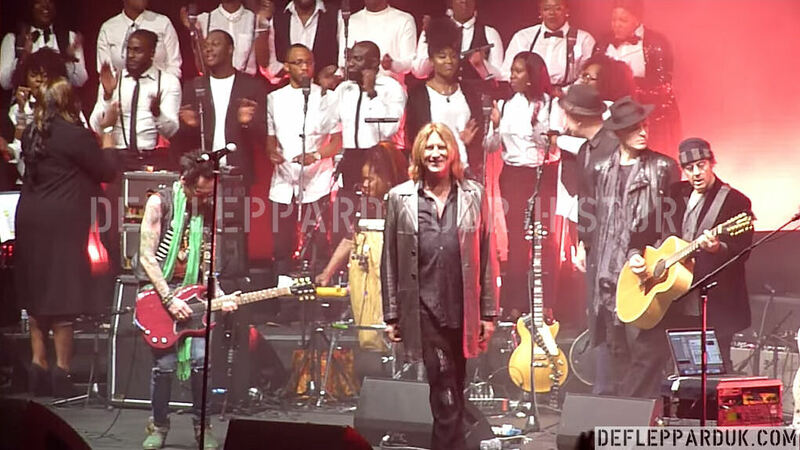 Pianist Mike Garson explained on Facebook that none of the guest singers had rehearsed with the band until a few hours before the show at soundcheck. 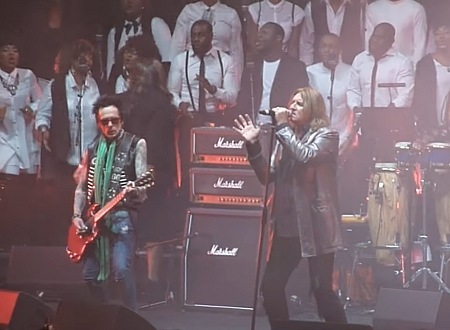 Bowie's friend Gary Oldman took lead vocals on many songs at the start. Tom Chaplin from Keane delighted the crowd with his rendition of 'Life On Mars?'. Joe hung out with Spandau Ballet's saxophone player Steve Norman, a friend who hung out with Def Leppard in Dublin n 1984. 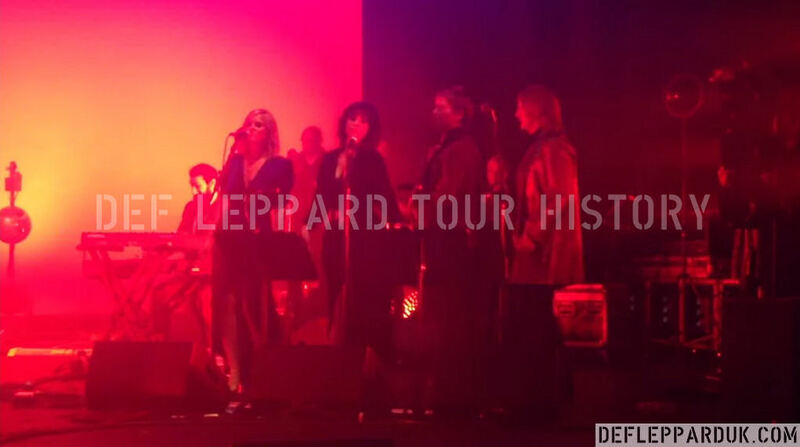 They posted some video clips which saw Joe singing backing vocals as Simon Le Bon from Duran Duran sang 'Let's Dance'. They also danced together in the background. 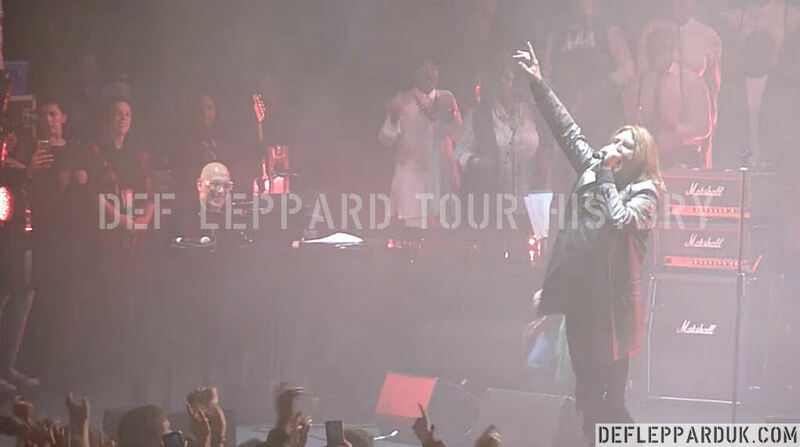 Simon and Joe saluted the crowd together at the very end of the show as the performers took their bows. 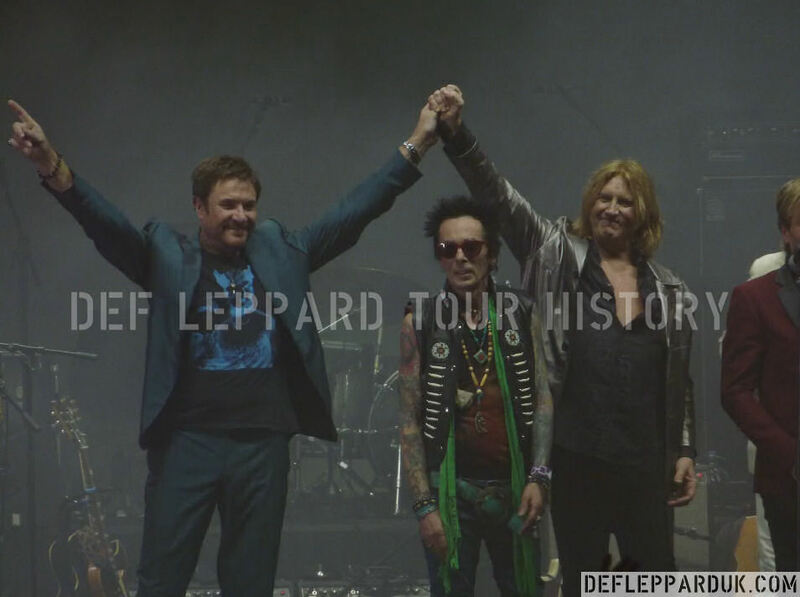 View some photos from the show along with fan video footage and the complete setlist. 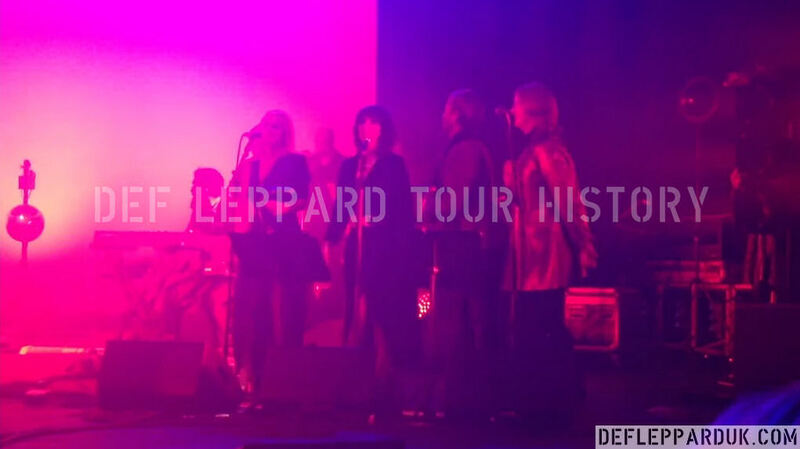 Watch many videos from the show on this Youtube Playlist including 'All The Young Dudes'. 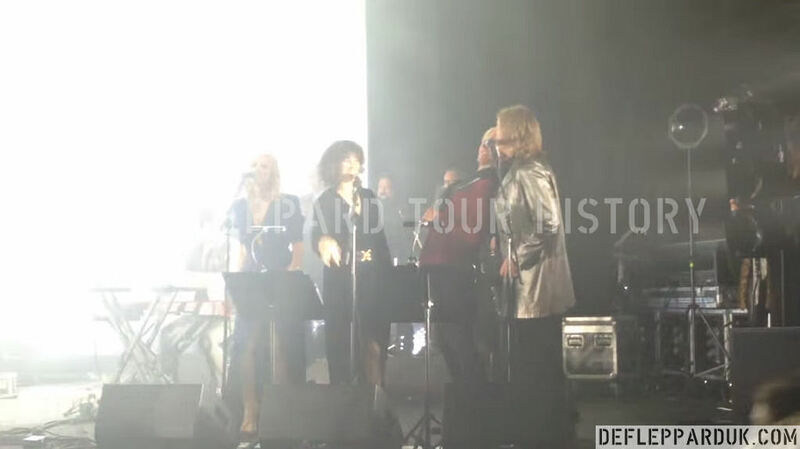 Joe took lead vocals on his favourite song with backing vocals by the choir and Lisa Ronson (Mick's daughter). Lady Grinning Soul was moved from earlier in the set. 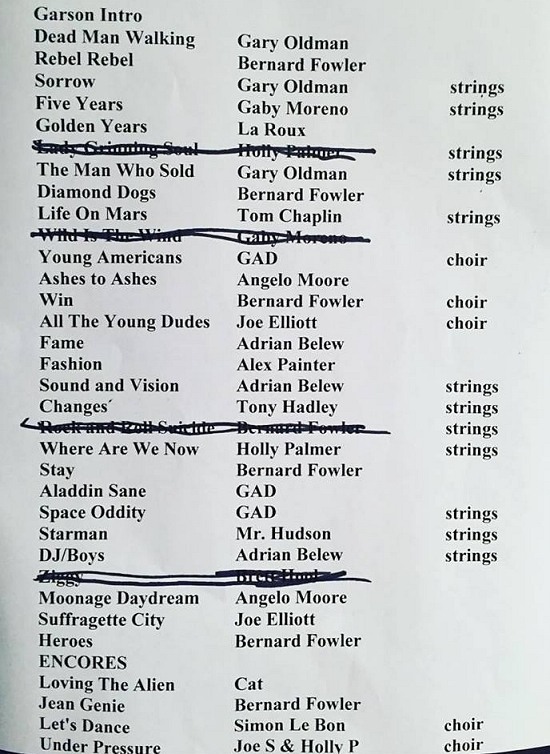 Ziggy was played despite being crossed out on the printed setlist shown. 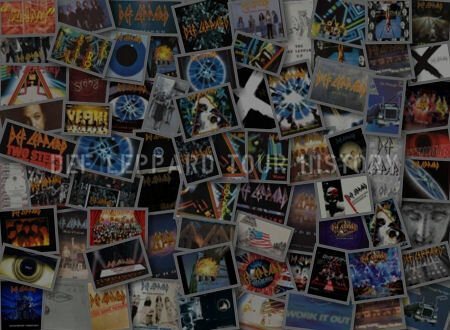 The other two songs Wild Is The Wind/Rock And Roll Suicide were left out. 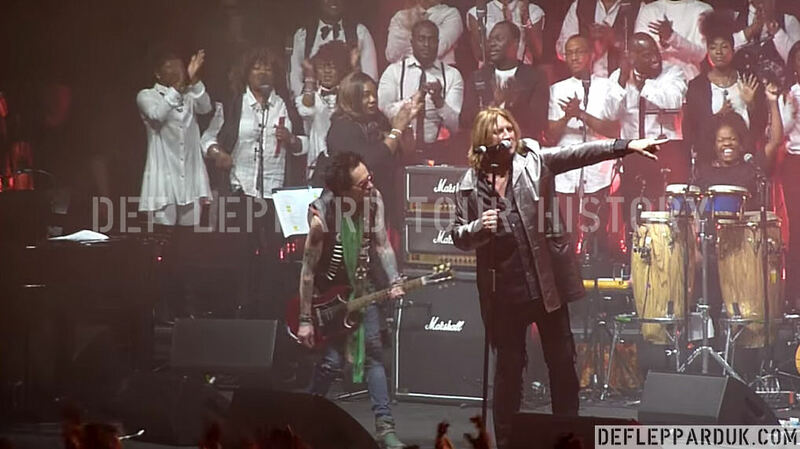 Joe took lead vocals on this song played in Def Leppard's early days at their very first gigs. 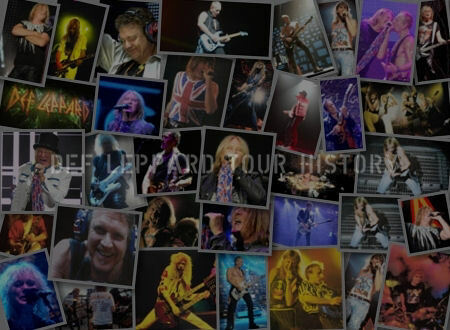 Performed by Joe/Sav in Sheffield 2004 at a charity gig. 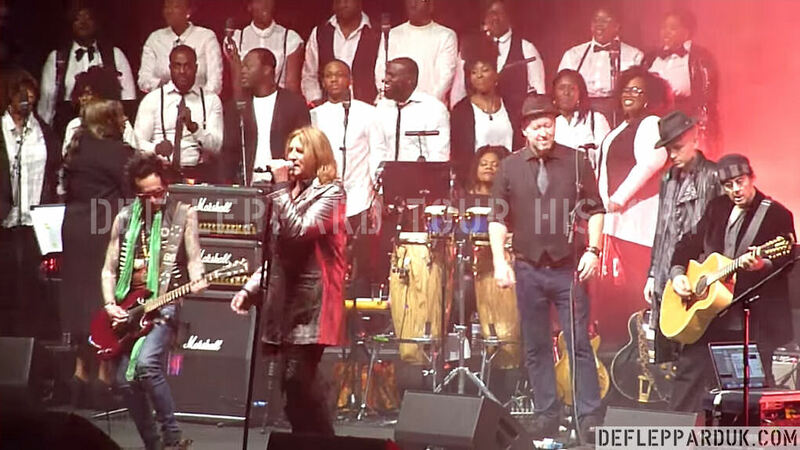 Joe sang backing vocals alongside Steve Norman (Spandau Ballet) and others.